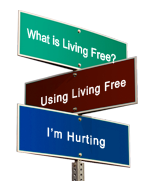 Thank you for donating to Living Free. Donations can be made in any amount in 1 dollar increments. Example: for a ten dollar donation enter 10" in the quantity field."